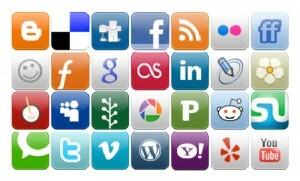 What three social media outlets do you use most? This question is answered differently for each person, but I believe that there are three that will come out on top. They are Facebook, Twitter, and LinkedIn. Google+ runs a distant 4th. In the world of marketing, the three aforementioned social media outlets are heavily used today. Facebook is ingrained in our everyday lives, Twitter is a great way for business to reach and connect with other like-minded companies, and LinkedIn provides an avenue for individuals to share their personal knowledge with companies and to get discovered. Therefore, these three social media tools provide the most exposure with minimal effort. Just a few years ago, this list of social media outlets was different, and in the future, I am sure it will change again. Maybe Google+ will move up in the rankings if Google can make their product more intuitive and user-friendly. Other social media outlets, such as StumbleUpon, Digg, and Reddit may have potential, but they do not offer what these three top social media outlets do. It will be interesting to see where social media takes us in the near future. For all the great thinkers in the world, we need a way to put into pictures the great ideas that our minds imagine. Thus, the purpose of mind mapping. Allow me to take a step back for a moment. When we have ideas, we need to find a way to effectively convey, through words, the thoughts we have. If we think about verbal and written language, we are quite limited. But when we think about drawing or painting our thoughts, our minds wildly express our senses, emotions, and concepts. Begin by drawing an image that represents your brain. Be creative, because everyone views their own brain differently. This picture will typically be something that demonstrates how you think. We have two trains of thought – analytical and creative. The left brain handles analytical thinking, and the right brain handles creative thinking. Draw lines out from either side of the picture of your brain to single words. This process will allow you to analyze your thoughts, comprehend your feelings, and both synthesize and generate new ideas. Be sure to determine whether the thoughts are analytical or creative, therefore, you put them on the correct side of the brain. Our brain does not think in black and white like the words on this blog post. We think in colors. Therefore, choose colors that represent certain feelings and emotions to you. Color theory is an actual area of study, therefore, use the colors that mean something to you! Be sure that you are being true to your brain. Be honest with yourself regarding how your brain thinks. For example, if you find that you’re just not the artistic type of person, then focus on drawing the left side first. Create the right side as your creative mind kicks in. Think about all five senses that we have: touch, smell, sight, hearing, and taste. Certain senses are evoked when we encounter a physical or mental obstacle. Imagine how you are going to overcome the obstacle by using these senses. By creating a mind map, understand that we are breaking or changing any linear thinking that we have. For example, if you think that A leads to B, you may find out that you are wrong. The problem is more complex than that. Maybe A leads to J that leads to X that leads to B. Not all solutions to a problem are solved with linear thinking. After beginning your mind map, you will find that you start thinking more about the solution to a problem than the actual problem itself. Why, isn’t the solution to the problem what we ultimately wish to find? For example, think back to a time that you encountered a problem and became obsessed with the problem. Were you really thinking about an ultimate solution? Mind mapping helps you with planning out a solution to a problem. Therefore, for all the analytical individuals reading this blog post, know that mind mapping is not just an exercise in futility. It is an opportunity for you to find real and concise solutions to your problems! Since I work for education, I am an advocate for individuals to continually educate themselves. Therefore, mind mapping is fluid; it is dynamic. Therefore, we, as students of society, can continue to “study” the world around us and modify our actions and behaviors based upon predicted outcomes. I admit, I am not a person to memorize anything! If you were to ask me to recite the alphabet, I would have to recall the song that goes along with the letters. Mind mapping helps us with remembering what we need to do with respect to the big picture. If, as a CEO of a company, you forget the big picture, you may be potentially creating the ultimate reality that you have been trying to avoid. Here is where I reach out to all the right-brained individuals. By creating a mind map, you can continue to change and modify your creative mind. In addition, you can build upon previous creative thought. Thus, the ultimate in creating new creations! Remember, as I mentioned earlier, that color theory is actually a field of study. But remember that not all colors represent the same thing to you as the five senses of the next person. For example, the color green may represent serenity and clam to me. But the color green may represent anxiety in someone else. Therefore, pick the colors that YOU find most representative of your feelings. Everyone loves clarity of thought. Therefore, use the colors and words that best clarity your thought projections. When developing a mind map, you never want to compromise the clarity of your thoughts especially when conveying those thoughts back to yourself. Lastly, do not limit yourself to the English language. Just because you only know English does not mean that your mind does not think beyond the language that you speak. In conclusion, I challenge you to create a mind map that incorporates both your analytical and creative thoughts into one image. Remember that this image is your own. It is YOUR mind map. It is for your benefit. Therefore, allow yourself to explore whatever “language” you wish. As a reminder, do not forget that you want to create a graphical image of how your brain thinks. As needed, make changes to your mind map and explore each and every creative and technical thought that you have.